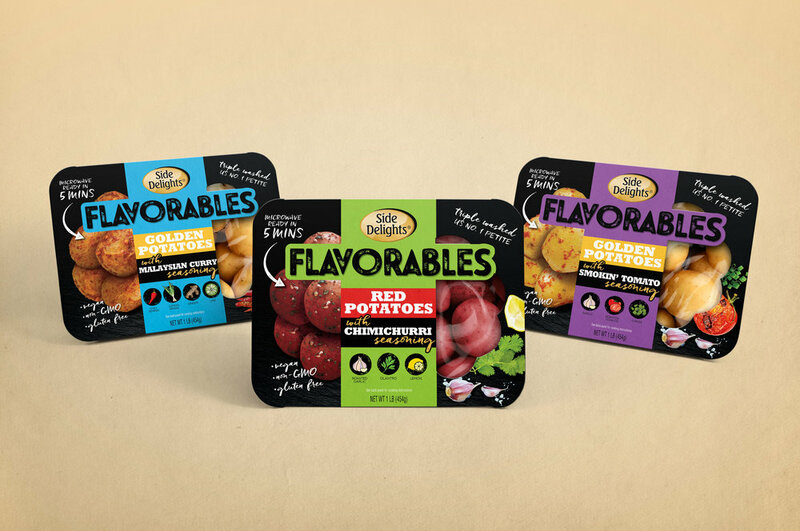 Packing small potatoes with millennial values, Side Delights wanted an enticing design for a new product to break the norms of the category and communicate an easy-made and flavorful meal. The mirrored design shows shoppers what they can expect and the quality of the potatoes. Flavorables comes in three varieties: Golden Potatoes with Malaysian Curry, Red Potatoes with Chimichurri Seasoning, and Golden Potatoes with Smokin’ Tomato Seasoning.